The role of HR in any business is an integral part. It helps in boosting employee productivity. The welfare of the employees, their work management and engagement, thereby the growth of an organization, is the ultimate objective of any HR department. The way the HR department functions is very complex, it revolves around a lot of challenges and pitfalls. An HR software can act as a wizard tool to overcome these challenges and maximize business productivity. There are many ways through which the HR software can boost business productivity. Let us see in detail. The overall performance and efficiency of the HR department can be made efficient with the adaptation of HR software. Every tedious administration can be streamlined and made hassle-free with the introduction of intuitive HR software. The automated features offered by HR software eliminates every repetitive task. Every manual process like employee information updates, leave request generation, employee benefits, work allocation, resource distribution are performed within a fraction of the time via real-time allocation of useful data across departments. Right and resourceful employee streamlines business success. But often pooling the right candidates are tiresome and demand much hard work from HR side. Every HR Manager agrees to the point that the conventional hiring pattern is time-consuming and complicated. It takes a long time for advertising job positions in various recruitment portals and social media platforms, later evaluating numerous received profiles and shortlisting them, further scheduling interviews and more. With the help of a recruitment management system, one can seamlessly list the current openings in the organization with the help of integrated social media management tools, list the relevant priorities and credentials, define various recruitment stages, efficiently track the applicants, and place the most suitable resource faster than ever, ultimately boosting the business. With an HR Software, one should not spend their precious time scanning each and every document, as the software filters the resumes on the basis of set credentials. If your company is following a manual time tracker practice, its high time to think about this. Because often this practice ends up with mismatches as employees manually index their work hours, that too after the work completion. An HR software can significantly bring down the rate of time fraud via implementing time tracking system or proper timesheet management system, where the time spent by the employee are correctly recorded and saved. In addition, all these employee data can be easily compiled together for calculating the payroll. Only a purposeful software can provide salient features. It’s not mandatory that the common software possesses all the relevant functions that you look in an HR Management system. A common software may be good in other departments like accounts or sales comparing to HR. But with an all-inclusive HR management software, one can be self -reliant and independent in handling the entire HR functions. An HR software will include all the functionalities like recruiting, employee engagement, appraisal, disciplinary tracking, payroll, asset management, checklist, dashboard and more for efficiently carrying the HR related tasks. HRMS Software help in simplifying and democratizing the whole process of employee appraisal via inbuilt communication streams. The communication channel within the HR software allows employee and management to interact with each other via commenting and recognizing peers good works. This indirectly motivates the employees as they are gushed with feeling that management is concerned and is timely rewarding their hard work. Also, the timely communication across all departments helps in getting the task done in time without lapse. The increased engagement triggered by HR software automatically boost the employee productivity in the organization. Foremost, an HR software initiates the employees to carry self-service, ultimately making them self-reliant and independent to showcase more productivity. With every information regularized, every function streamlined, an HR software helps in better decision making. With the availability of resources and guidelines in real-time, the HR software helps in bringing strategic management of workforce, keeping the productivity and efficiency supreme. As every information is clearly laid in the database, the management can act quickly in the matter and take the wise decision. No loophole is left behind for jeopardy. The HR software provides the management, the most refined, up to date information, making the picture perfect and precise. The HR software generated reports leave behind the ambiguity over biased decisions of human-made. The quick reference to all information, help the management to revise their decisions if any. Most importantly, an HR software Dubai helps in eliminating the unwanted business expenditures. With the right recruitment system, the right talents are pooled in. This eventually increases the productivity and reduce the business expense over recruiting. Secondly, the automation within HR helps in reducing the no of employees in an organization. 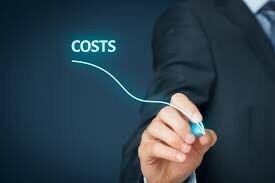 This again reduces the business cost. Thirdly, an HR software helps in managing the entire accounting system, eliminating flaws in monetary transactions. In short an HR software acts as a wizard tool to boost business productivity.